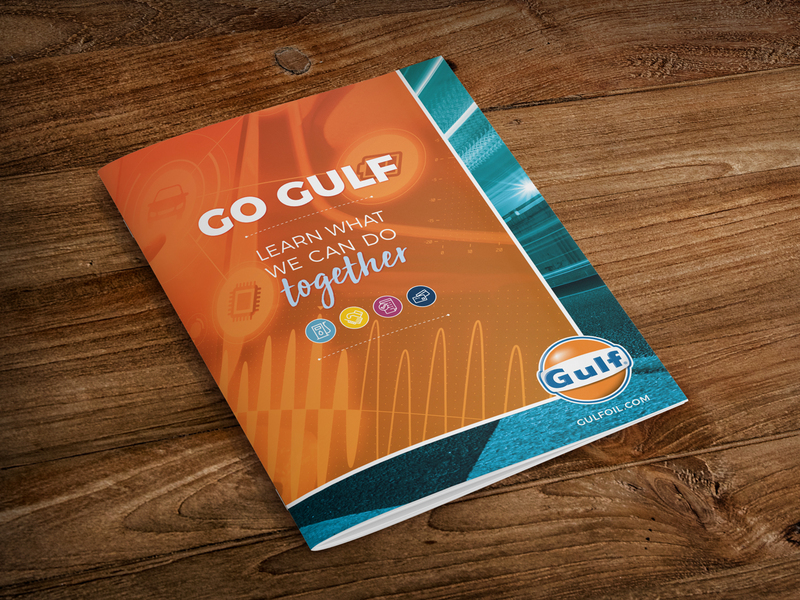 This is one of my favorite Gulf projects. 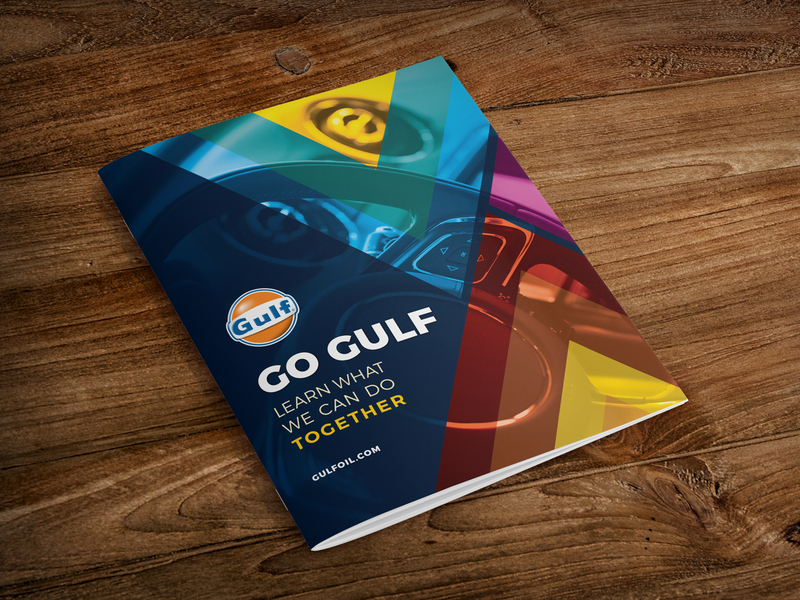 The sales team at Gulf needed something to bring out on the road and this piece has been re-printed many times. 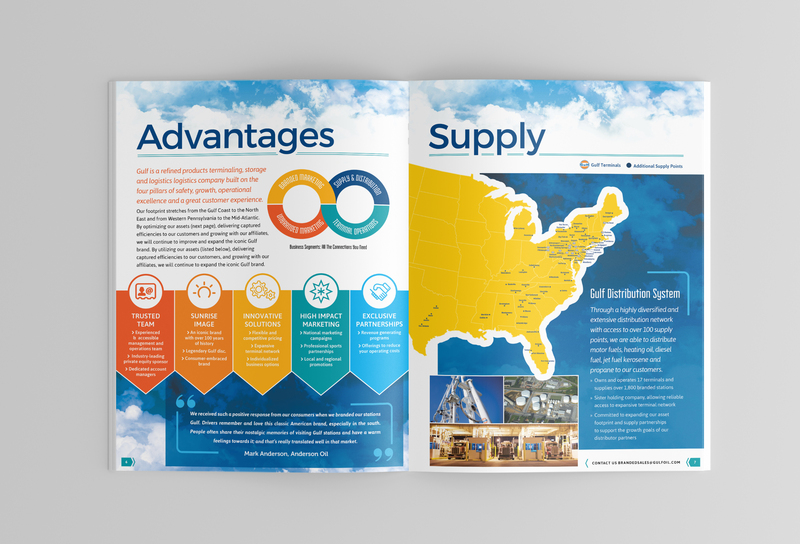 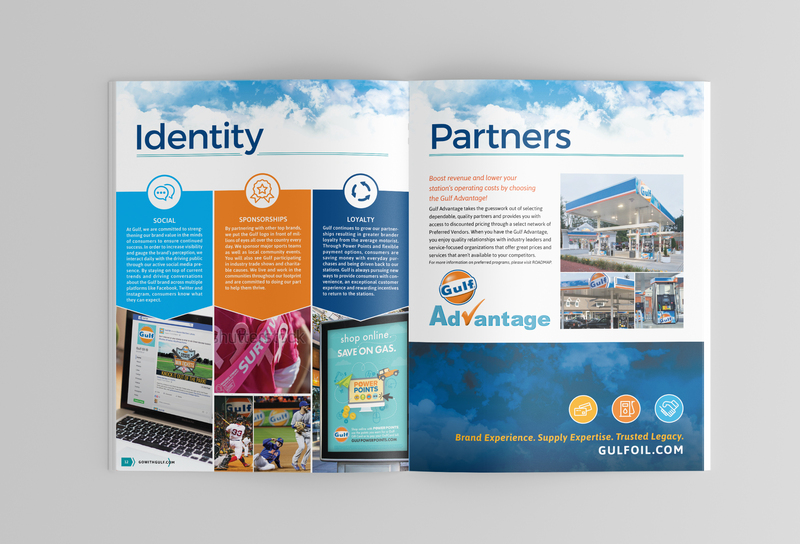 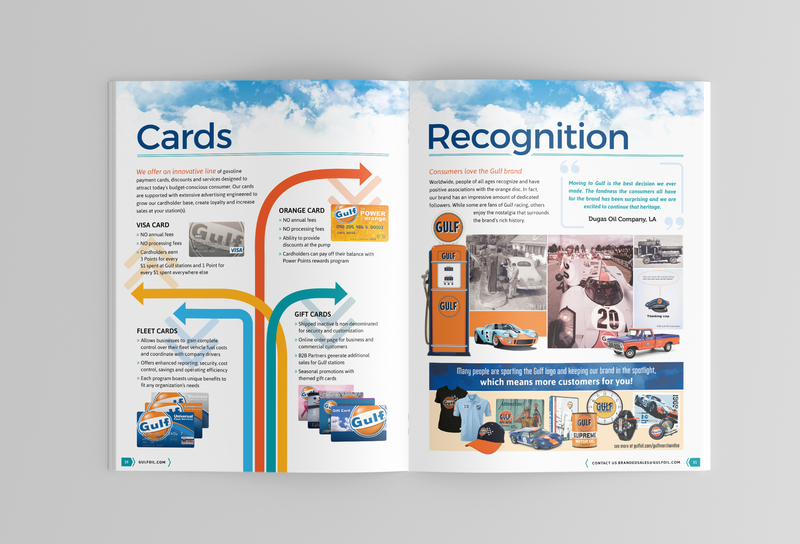 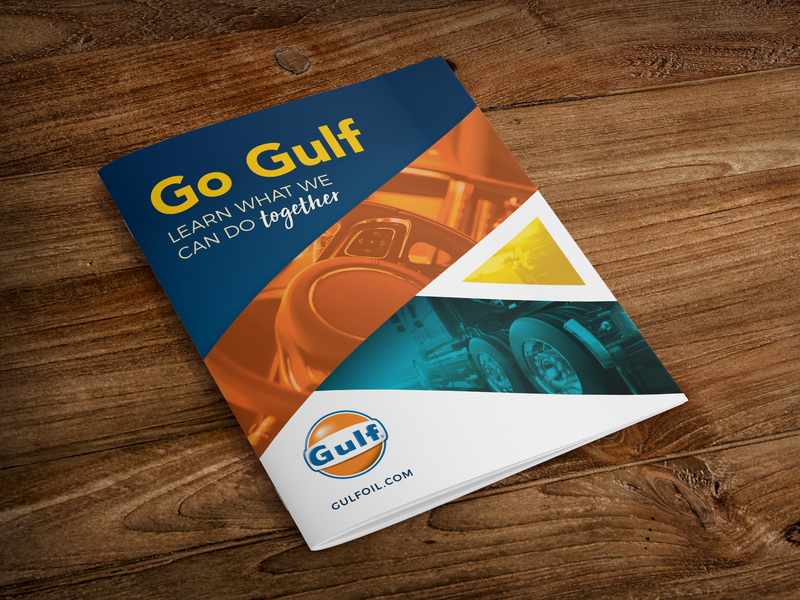 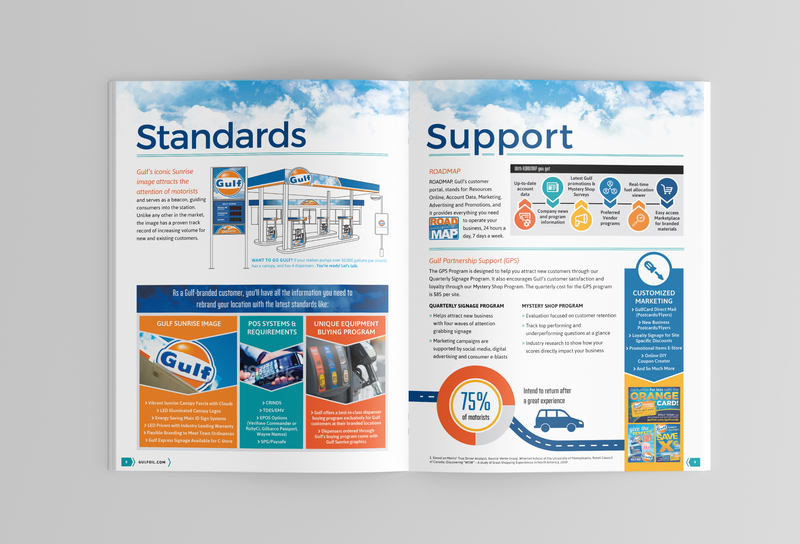 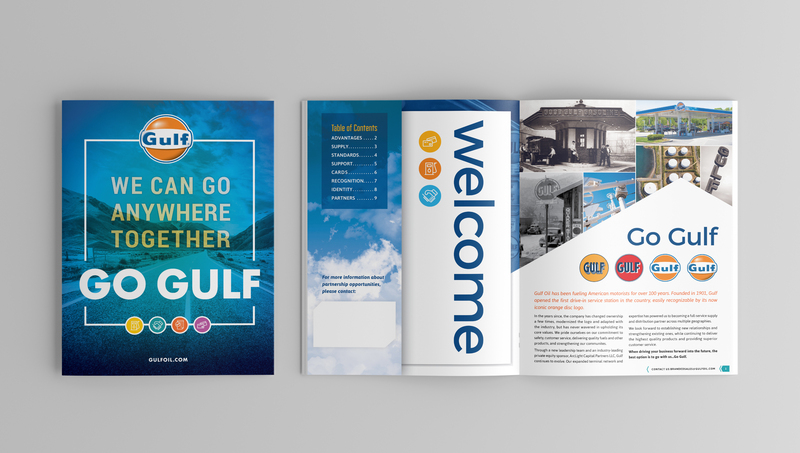 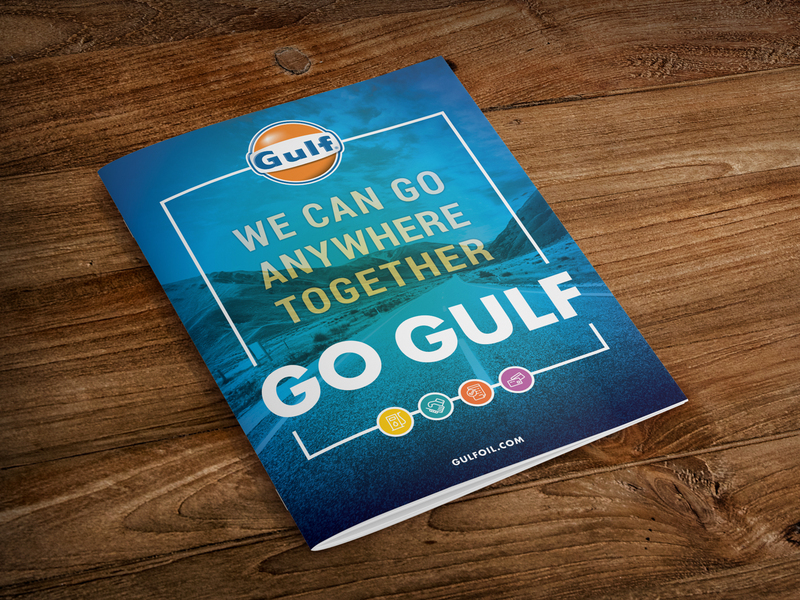 The infographic style of the pages allows for a bold display of the many reasons to Go Gulf!